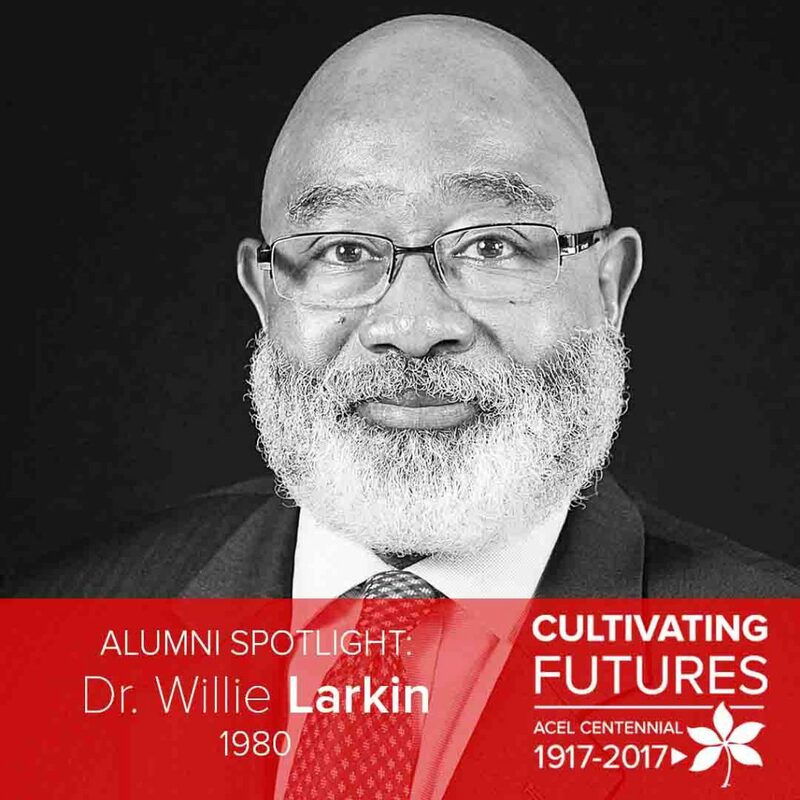 After completing a bachelor and masters degree from Tuskegee University in Alabama, Dr. Willie Larkin came to Ohio State to pursue a PhD in the late ’70’s. 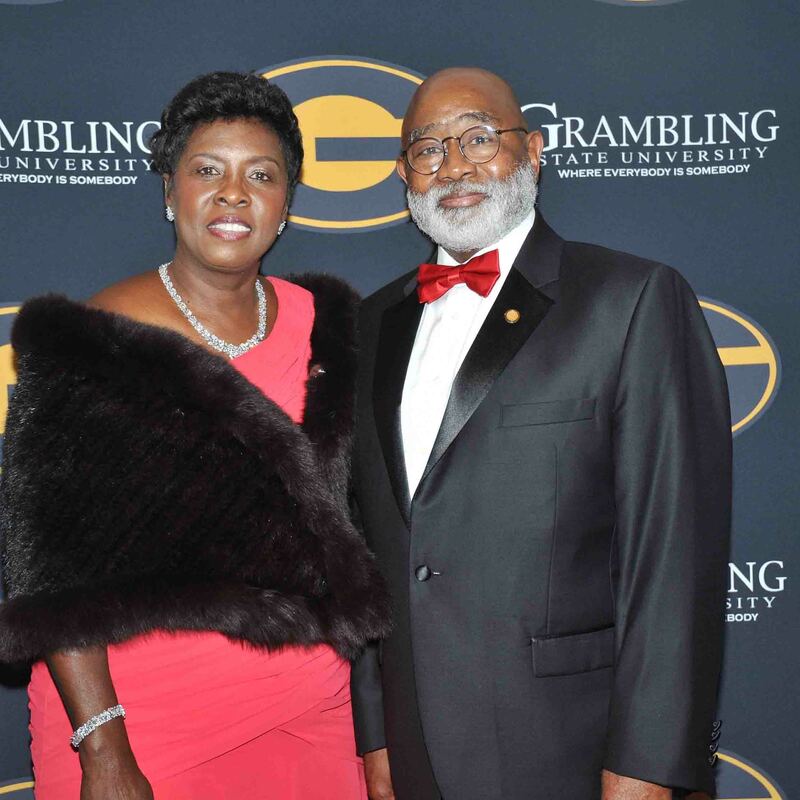 After more than 40 years in higher education, Dr. Larkin retired as president and CEO of Grambling State University. He now resides in Oregon, Wisconsin. [ACEL]: Hello Dr. Larkin! You came to Ohio State for a doctoral degree in agricultural education. Share with us why you chose our program? [Dr. Larkin]: I grew up on a sharecropper farm and agriculture was what I knew. Plus, my father expected me to attend college and return to help him and the family on the farm. When I was a graduate student at Tuskegee University in 1974, Dr. James L. Smith became my mentor and encouraged me to pursue a Ph.D. and he suggested The Ohio State University, since that’s where he had attended. It didn’t take much convincing to get me to come. Besides, they had a great football team and the legendary Woody Hayes was the coach. How did your education at Ohio State influence your choice of career or your career path? My program was agricultural education, with a specialization in 4-H and Youth Development, and since I was a long-term 4-H and FFA member in high school, the choice was very easy for me. At the time, OSU and the State of Ohio was noted for having a strong Cooperative Extension and 4-H program, and of course, it was big! All my life I had lived in small towns, attended small schools, and for once in my life, I had an opportunity to be a part of something BIG. The Ohio State University provided me with an opportunity to expand my horizons. I was awarded the Graduate Student Leadership Award and served on the OSU Athletic Committee and was allowed to work closely with student-athletics. I also worked as an academic advisor for University Colleges and advised and mentored hundreds of academically gifted students. What courses did you enjoy the most in the agricultural education doctoral program? I loved leadership, communication, staff development and teacher education. The Teacher Education Class taught by Dr. L.H. Newcomb was my favorite class of all. He was a master teacher and gave me the worst tongue lashing I’ve ever had about my inability to write. As a result, I made it my life mission to write and speak well. The second-best class was the research series taught by Dr. Robert Warmbrod—he was hard, but a great professor. You mentioned two faculty members by name as great professors. How did they stand out to you? Dr. L. H. Newcomb had the greatest impact on me. There was a time after about three-years that I wanted to quit my program and go back to Georgia, but Dr. Newcomb called me in his office, asked me what was wrong and after I told him, he suggested that I take two weeks off, spend time with my family, go fishing or camping and then he ordered me to return to his office. I returned at the appointed time and he never remarked about my near breakdown, but instead, he set up a timeline with some definite deadlines and I finished my Ph.D. program right on time. No question about it, L. H. Newcomb saved my life and my career. Did you get involved with any activities outside of the classroom? I came to OSU as a married student, with a one year old son, so there was not much time for extracurricular activities. However, I loved sports and participated in intramural softball, basketball and track. Other than that, I was busy being a good husband and father. Share a fond memory you have of your time at Ohio State. Although I had played college baseball as an undergraduate at Tuskegee University, I learned that I still had eligibility as a football player. So, since we lived in Buckeye Village, right next to the Football Complex, I would go out every day just before football practice and beg Coach Woody Hayes to allow me to join the team as a walk-on. He would placate me by asking questions, like “How fast are you?” “How much weight can you lift?”, etc. One day during one of our conversations, I was sure that he had decided to let me walk onto the team, but then he said, “Naw, just get your lesson and become somebody.” Although my bubble was busted, I continued to stop by every day. I suppose I should thank Coach Hayes for looking out for me. After completing your PhD at Ohio State, what was your first job? I worked as a District 4-H Agent in Southwest, Ohio and supervised 19 County 4-H Agents, one of those was now Provost Bruce McPheron; he has become a superstar. Traveling throughout the district working with county agents, 4-H’ers, volunteers and business people who wanted to support kids was a blast and I loved every minute of it. You’ve had a long career in higher education. Where all have you worked? During a 44-year career, I have had the honor of working for six prestigious universities: The University of Georgia, The Ohio State University, Auburn University, The University of Wisconsin, Morgan State University and I served as the 9th President of Grambling State University in Louisiana. With a career that long, you’ve had to be given a few honors. What are some that stand out to you? 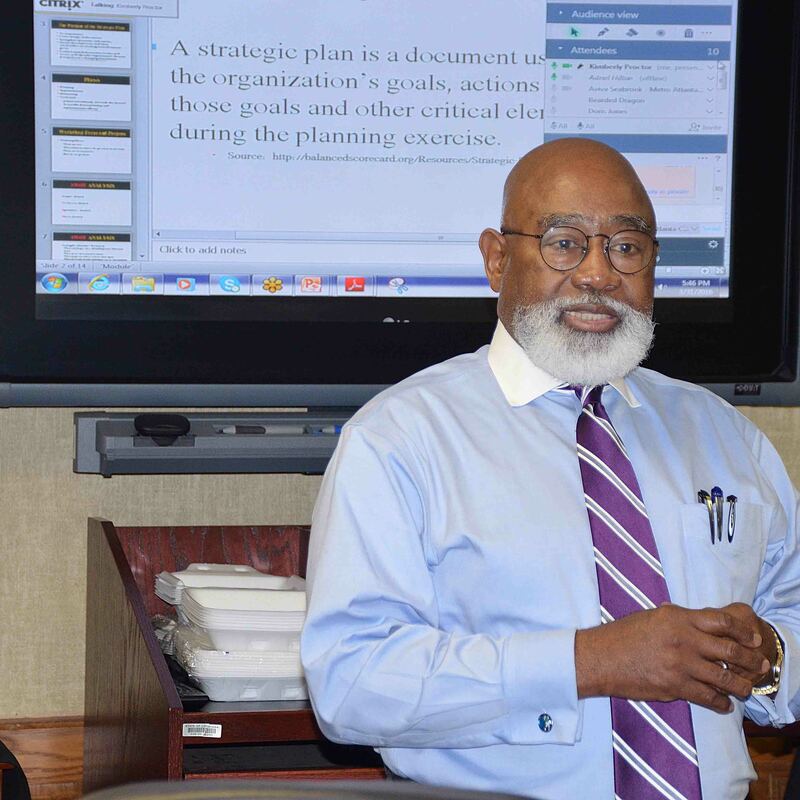 I was the first African American to serve as chair of the Auburn University Faculty Senate. And, I served on the Auburn University Board of Trustees. I was also awarded the W.K. Kellogg National Fellowship Award, received $64,000 and allow to travel to six foreign countries and throughout the United States to study and write about leadership and diversity issues. If it’s possible to reflect on all the accomplishments you’ve had throughout your career, what is something you consider a highlight. My strength lies in cultivating and growing successful people—there have been many, but here is the story that I most often like to tell. 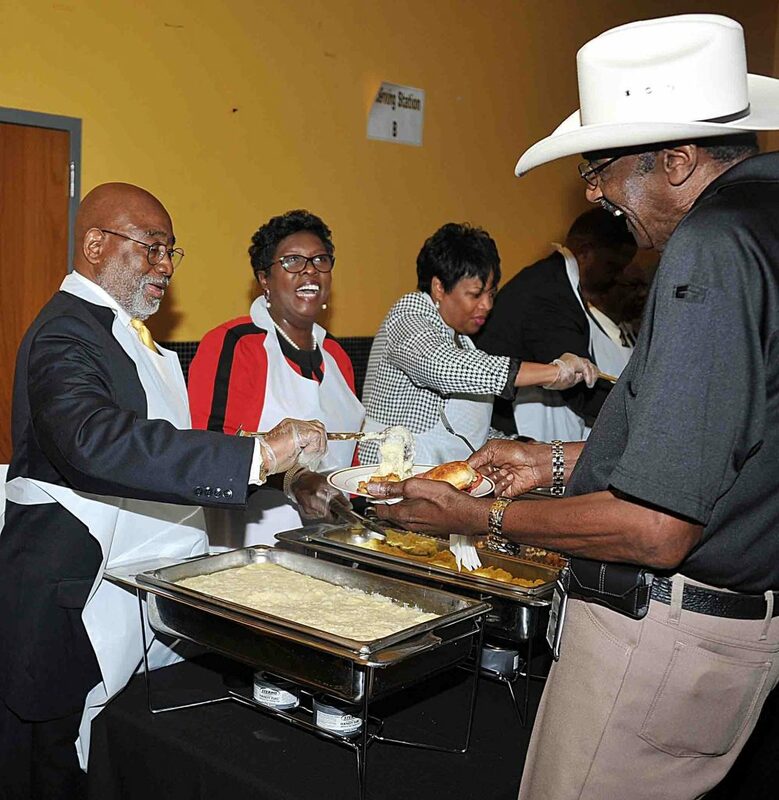 When I was President at Grambling State University in Louisiana, I asked a young man by the name of Jeffrey Sims to be my driver, among other things. He drove me everywhere. 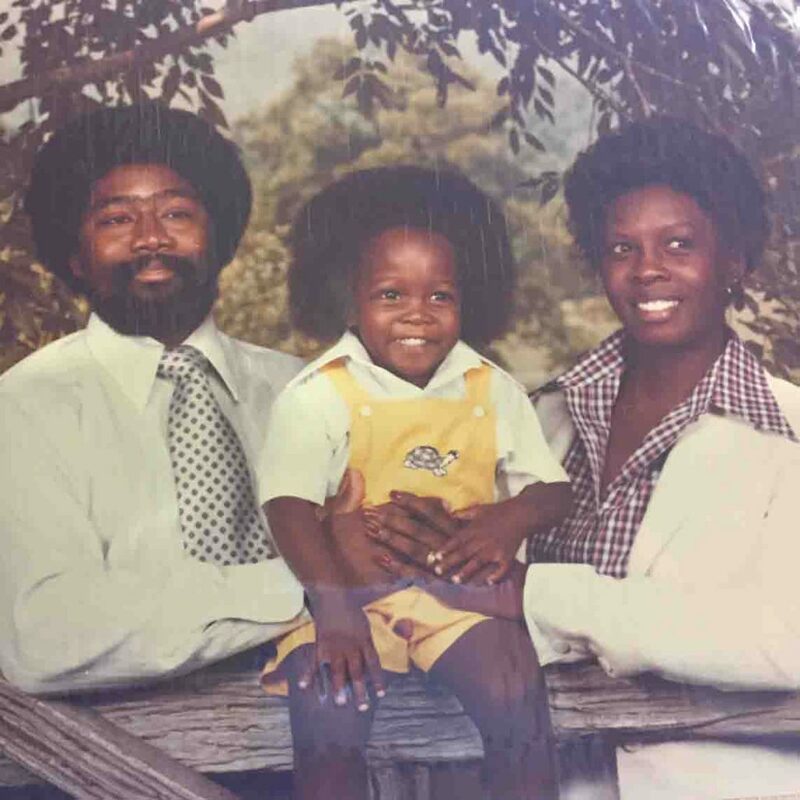 During those many trips, we got to know each other and I learned that at one time, he was a student at Grambling, but life happened and he dropped out after 3 ½ years. He had accumulated some significant debt and just didn’t see himself going back and finishing. I was relentless in helping him envision and dreaming about the possibilities that lay ahead if he obtained a college degree. 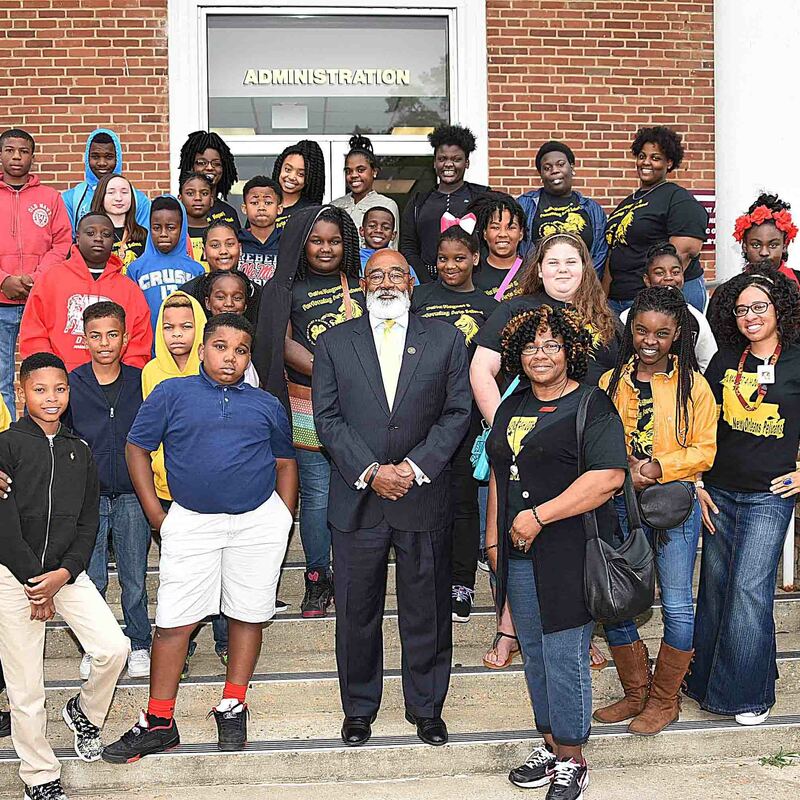 Eventually, his imagination caught on fire and as I was departing from Grambling, I made him promise me that he would return to school and finish. The carrot that I put in front of him was, if you graduate, I will come back to your graduation. Sure enough, this past May 2017, he walked across the stage and received his B.S. in Mass Communication. Aside from making sure my two kids were college educated, I have a long list of young people that I have shepherded across the stage. I would say to any person, DREAM BIG! Have a great imagination and think about all of the possibilities in life. Travel and meet lots of people from other cultures and countries. Be respectful of human life and do no harm—only good. Everybody needs to volunteer and help those who are less fortunate than the rest of us. Respect your body, mind and soul and nurture all of them. Life is short, so grab every joyful moment you can. We’re celebrating our centennial the impact the Department has had on students’ futures over the past 100 years. What did ACEL cultivate in you? ACEL taught me how to think BIG locally and globally. At Ohio State, I learned about my capacity to make a difference in the world, how to lead and engage other people in meaningful programs, projects and initiatives. 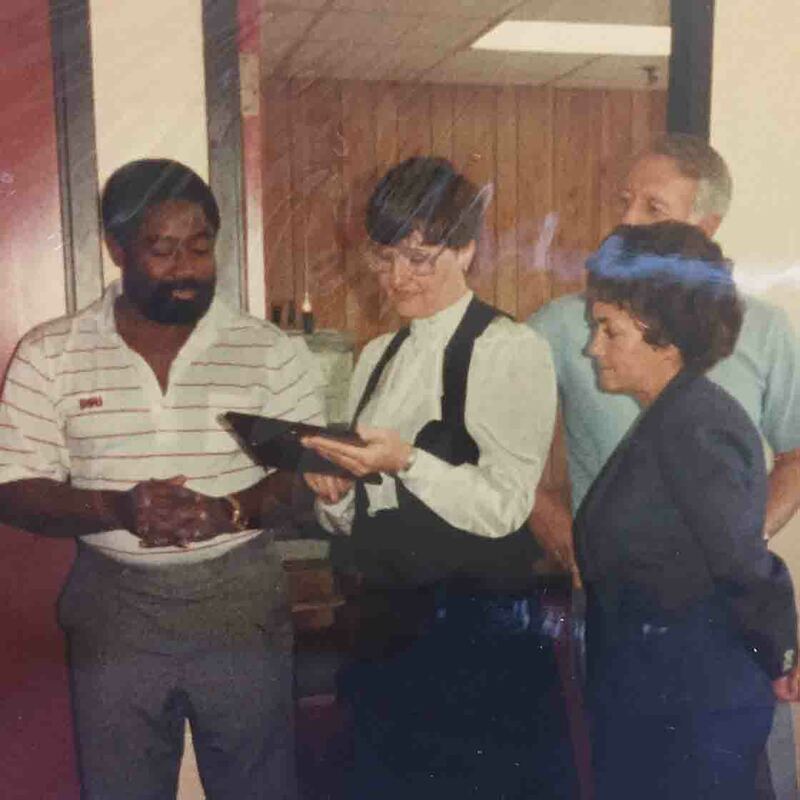 Although I was 25 when I arrived at Ohio State, ACEL taught me how to be a man! I came to the school with great potential and left imbued with the fuel and fire to get things done. Finally, when I left the university, I knew for a fact that one person could indeed make a difference in the world around them. One of the best experiences of my life. If you are completing an internship this summer – for credit OR not for credit – pleasecomplete this internship share form. This information is needed by the university for state authorization initiatives, as well as the opportunity to be featured online (optional). If you are a recent graduate, share your job offers and/or life plans with the CFAES Career Services office by completing this offers/plans form. This information is used when compiling information about job outcomes for each of the major. Your personal information is NOT shared. Looking for an elective to help improve your design and presentation skills? This fall, we’re offering AGRCOMM 5194: Group Studies – Data Visualization & Scientific Storytelling in FAES. In this class, you’ll learn how to use Adobe Creative Cloud software to produce visuals for research presentations, articles, and other reports. We’ll also cover how to talk to different types of audiences about science, agriculture, and research. The class is 2 credit hours and meets Fridays from 9 AM-12 PM. It’s open to graduate and undergraduate students, and it would be especially helpful to students conducting research. For AGRCOMM students, this course can count for major elective credit. No design experience necessary! For more information, feel free to contact Dr. Annie Specht at specht.21@osu.edu. 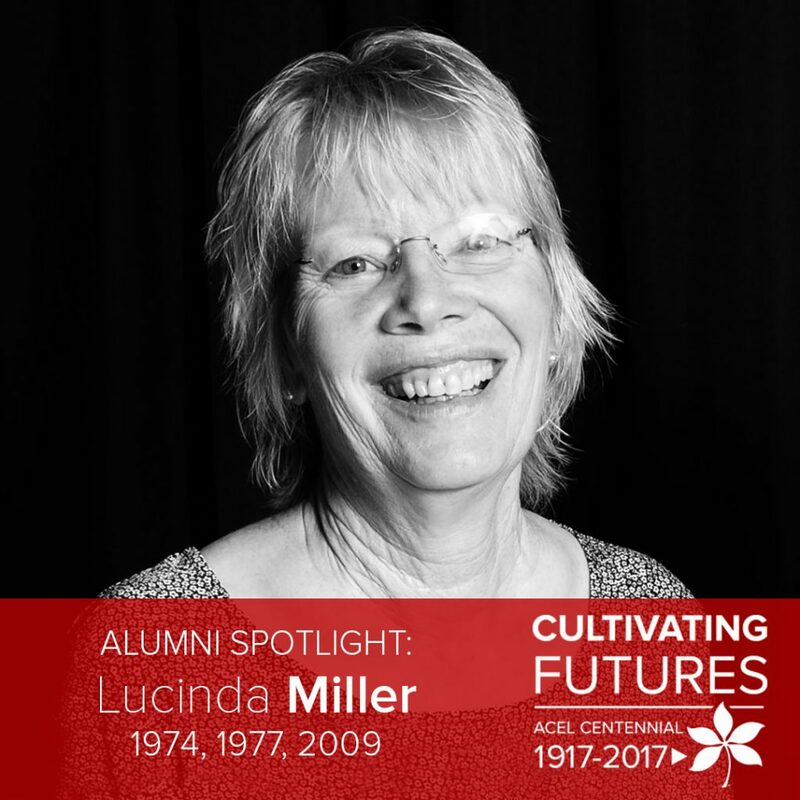 Lucinda Berry Miller joined our department for her master and doctoral degrees in agricultural education, which she completed in 1977 and 2009, respectively. Originally from Ashland, Ohio, Lucinda now resides in Mt. Vernon, Ohio and works for The Ohio State University Extension as an extension specialist with 4-H Youth Development livestock, companion and small animal programs. [ACEL]: Hello Lucinda! You completed your undergraduate degree in animal science at Ohio State and then completed a master’s degree in agricultural education. Why did you choose our graduate program? [Miller]: I wanted to do something related to agriculture and follow my love of 4-H.
Why did you choose to attend The Ohio State University for all three of your degrees? Is there any other? Seriously though, I chose Ohio State to get the education I needed to either teach vocational agriculture or become an Extension professional. Did your education at Ohio State influence your choice of career? Actually it was my professors who influenced my career path. What professor was that for you? Dr. Joe Gliem had the biggest impact as he constantly urged me to think critically and problem solve. He never gave up on me and always encouraged me. What classes did you enjoy the most while at Ohio State? Did you have a favorite? I enjoyed the animal production classes the most. Horse Production was my favorite, because of my love of horses and Dr. Charlie Hutton as my professor. Outside of the classroom, in what activities did you participate? I was involved in Saddle and Sirloin Club. I also worked as a student employee at the OSU horse barns for 3.5 years as an undergrad. I really enjoyed working at the OSU Horse Facilities and learning from Dr. Hutton and Chuck Smith. I taught a Small Animal Care unit at Live Oaks Career Center as a vocational agriculture instructor. I actually did my student teaching during my first fall of teaching! Over the course of your career, what positions have you held? I have worked at Live Oaks Career Center, OSU Extension in Pike and Scioto counties and for the State 4-H Office. You’ve been recognized by a number of organizations for your dedication to 4-H. What are some of those awards? I don’t remember all, but some include Excellence in 4-H, National Association of Extension 4-H Agents Distinguished Service Award and Meritorious Service Award and I was inducted into the Ohio State Fair Hall of Fame. We know your career isn’t completed yet, so as of today, what is your favorite career highlight? I think my favorite and most rewarding is seeing former 4-H members, such as yourself*, be successful as adults; hopefully a lot of that success was instilled in them as 4-H members. We have several students interested in Extension and positions like you have held. What advice would you give them? Our last question, what did ACEL cultivate in you? I think ACEL taught me how to engage students to take risks and explore the many avenues of learning. Dr. L.H. Newcomb and Dr. Joe Gliem taught me how to be a successful teacher. *Miller refers to Emily Wickham, who conducted this interview. Wickham was a 13 year 4-H member in Pike County while Miller served as the 4-H agent/educator. 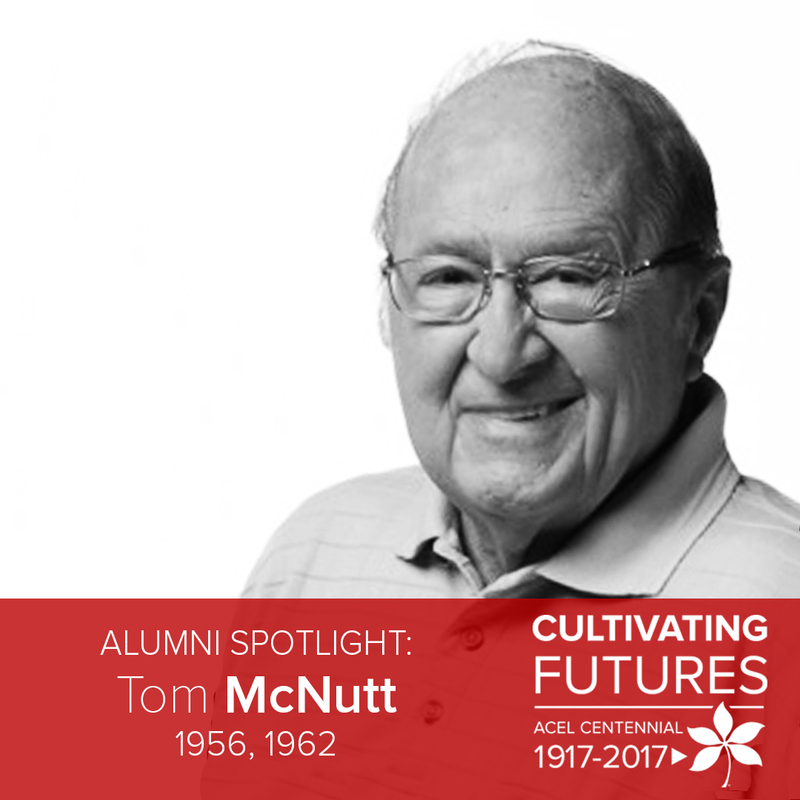 Tom McNutt graduated with his bachelor and master degrees in agricultural education in 1955 and 1962, respectively. Originally from Dunkirk, Ohio, Tom and his wife reside in Hilliard. He has worked in a few positions over the years, with his most recognizable one being the garden expert on NBC4 each Saturday morning from 1989 to 2013. [ACEL]: Hello Tom! You majored in agricultural education. What influenced your decision to choose that major? [McNutt]: I was very active in 4-H, FFA, and Vocational Agriculture in school and wanted to be like my Vocational Agriculture teacher. Why did you choose to attend The Ohio State University? Did Ohio State influence your career path? Ohio State University offered everything I needed to accomplish my objectives. It provided me with all the essentials for the career I had already chosen. 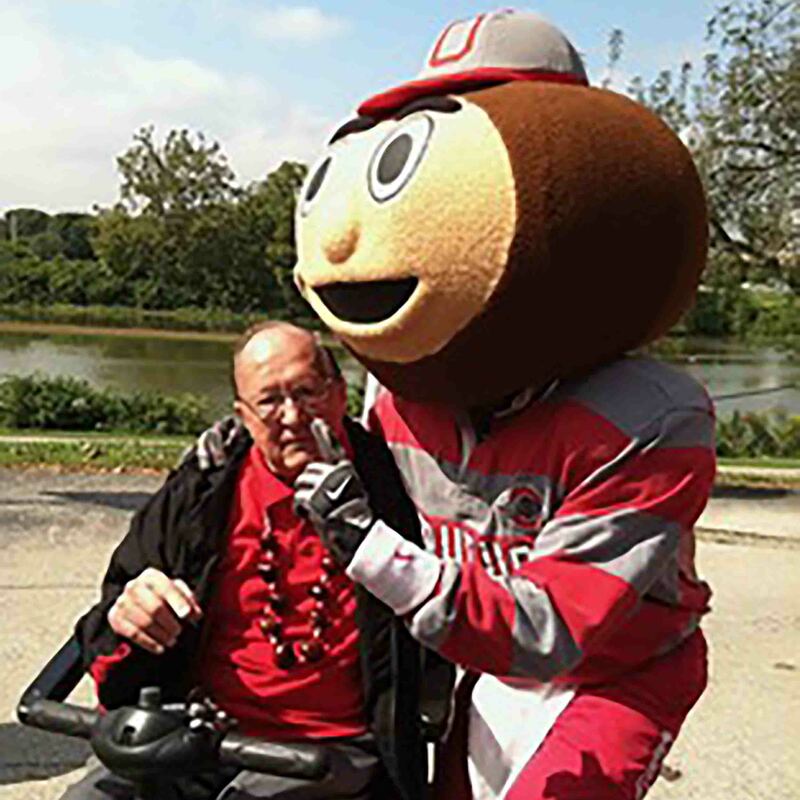 Did you have a favorite course and professor during your time at Ohio State? Animal Science Feed and Feeding because the professor was a master teacher. I really liked Dr. Austin Ritchie. He was my advisor and mentor during my undergraduate work at OSU. Outside of the classroom, how did you stay busy? I worked 20 hours a week in the OSU mailing room and weekends selling automobiles, Fuller Brush products, and night shift at a hamburger restaurant to pay for my education. This left me very little time for campus life. Share with us a favorite memory of yours from our time at Ohio State? What a compliment from Coach Hayes! After you graduated, what was your first job? I taught vocational agriculture at Belle Center High School in Logan County. What other jobs have you held throughout your career? In 1963, after teaching Vocational Agriculture at Belle Center and Dublin high school for 7 years, I moved to Ohio State University faculty, first as a 4-H Agent then promoted to Agriculture Agent and County Chairman. I retired from extension on December 31, 1988 and hold the title of Professor Emeritus. From 1989 to 2004 I served as executive coordinator of the Ohio Council of Cooperatives. Also serving as Executive Director of the Ohio Agricultural Council from 1990 to 2003. I was also the NBC4 TV News Garden Expert from 1989 to 2013, hosting a live TV show every Saturday at 8:00 A.M. and taped another garden segment for Sunday mornings. You’ve had a long career, with many awards and honors. What are a few of those that stand out to you? I have received numerous state and national awards for work with cooperatives, community service, public relations, horticultural management and media. I few by name that stick out include the John W. Galbreath Award, Ohio Farm Bureau Cooperative Educator Award, Educator and Public Service Award – Ohio Nursery and Landscape Association, NACAA Search for Excellence Award (5 times), OFMA Award for Dedicated Service to Franklin County and the Cream of the Crop Award from the Franklin County Fair. I have also been inducted into several Hall of Fame’s including: Ohio Senior Citizens Hall of Fame, the Ohio Agricultural Hall of Fame, Ohio 4-H Hall of Fame, Dublin High School Hall of Fame and Hardin Northern High School Hall of Fame. From throughout your 60 year career, you must have many memorable highlights. Share a few of those with us. 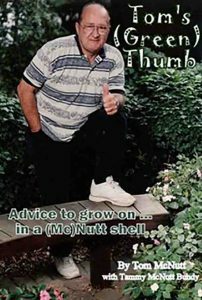 I wrote and published a book entitled “Tom’s (Green) Thumb – Advice to grow on in a (Mc)Nutt shell”, I have hosted farm and garden tours with my wife Joan and lectured all over the world while visiting. And while filming my NBC4 segment, I would meet so many nice people. What advice would you give to a current Ohio State student who looks to a career like yours? Our final question. What did ACEL cultivate in you? All people are important. Be willing to listen to all points of view. Most of all, enjoy life! 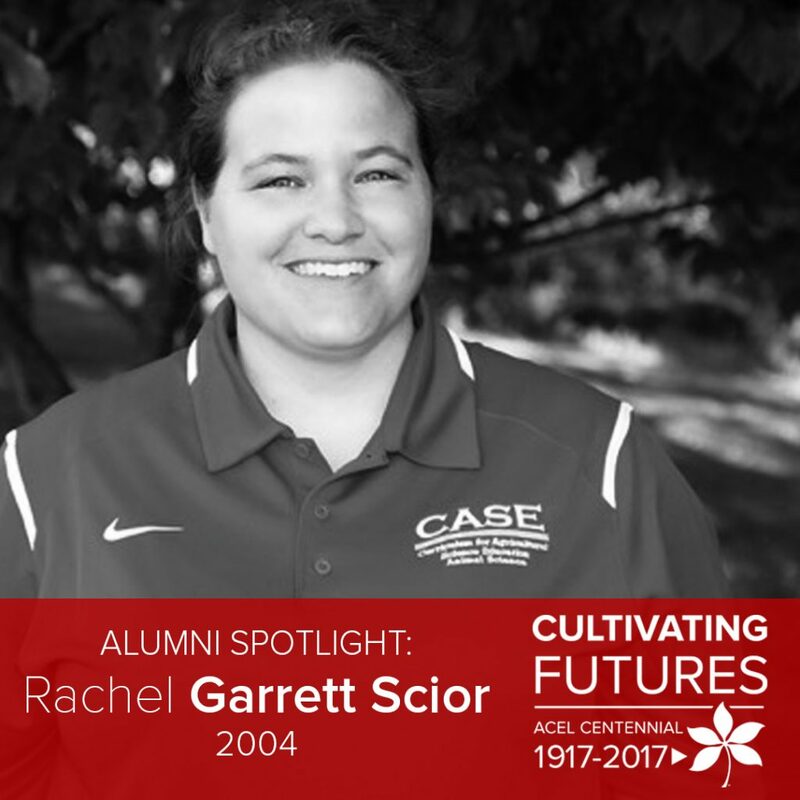 Rachel Garrett Scior is a 2004 alum of the agricultural education major at Ohio State. 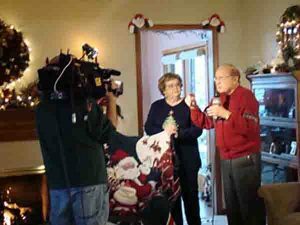 She grew up in Pickaway County and continues to reside there today with her family. 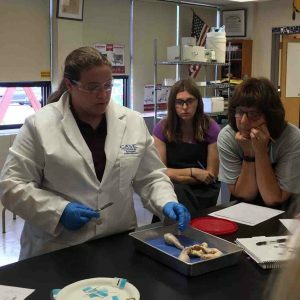 She teaches on the Circleville Campus of the Pickaway Ross Career & Technical Center where she teaches veterinary science and is the advisor for the Stoneridge FFA chapter. [ACEL]: Hello Rachel! What inspired you to select agricultural education as your major in college? [Scior]: I chose to major in agricultural education because the FFA organization gave me opportunities to learn, grow, lead and develop skills that have had a lasting impact on my life. I felt that because the FFA had given me so much, that I wanted to serve it and give back to the organization and change students lives, the way it had changed mine. Why did you choose to attend Ohio State? I actually began dreaming of attending The Ohio State University in 8th grade. My parents both went to OSU and exposed me to the university and football games when I was young. 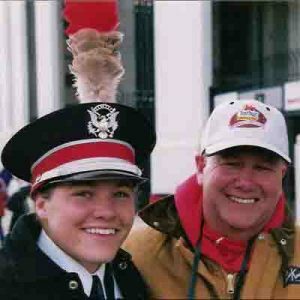 At the time, a huge passion of mine was playing percussion in the band, and I remember clearly watching TBDBITL thunder out of the ramp and telling my Dad….that’s what I wanted to do. As I grew in high school, I also discovered that I wanted to major in something related to agriculture, so Ohio State was a natural fit for me. How did your education at Ohio State influence your choice of career or your career path? I declared my major when I entered Ohio State, I knew I wanted to be in agriculture education. I remember wrestling with whether I wanted to be an extension agent or a classroom teacher, but as I progressed in my coursework, Ohio State had a strong teacher education program and it influenced me to go the classroom route. What courses did you enjoy in your major? I enjoyed a lot of my classes, but my favorite ones were American history, animal science, animal nutrition and the agricultural education course work. I also REALLY loved a plant science class that was held in Orton Hall, because I love history and it was really neat to be in that historic place. Was there a faculty member or professor that was influential to your education? I enjoyed having Dr. Susie Whittington. I attribute most of my classroom management and the way I approach education to her. I also really appreciated that she cared about each of us, and went out of her way to get to know us as individuals. It is evident that she wants to see each of her students succeed and flourish. Her passion for training teachers is amazing, and I love that she always wants a big hug when she sees me. We encourage our current students to get involved outside of the classroom. Were you a part of any student organizations? I was involved in Agricultural Education Society, Alpha Sigma Upsilon, and I played quads in The Ohio State University Marching Band (2001-2003). I also studied abroad in Australia, worked in the Dean’s office and held other odd jobs. I have two favorite memories the first was marching at the National Championship game for the 2002 season. I remember the hair on the back on my neck standing up as we flanked up-field playing Buckeye Battle Cry; I have never heard a crowd roar as loud as that! The second memory is related to being involved in Alpha Sigma Upsilon, and taking the “long walk” as a group. It surprised me how much I loved the girls in that group, and how many lasting friendships I made by getting out of my comfort zone and joining. Following graduation, what was your first job? In July of 2005 I was hired at Greenon High School in Clark county as an agricultural education teacher. For what schools, companies and/or organizations have you worked throughout your career? Share with us a few awards that you have received during your teaching career. I consider my awards to be mostly influencing and watching my students grow. I have coached many good CDE teams, had two students serve as State Officers for the Ohio FFA Association, several state winning proficiencies, etc. Watching students I have mentored succeed is more fulfilling than winning awards personally, in my opinion. I have been elected to serve as the Ohio Association for Agricultural Educators (OAAE) President, and also was selected as a CASE Master Teacher in 2017. 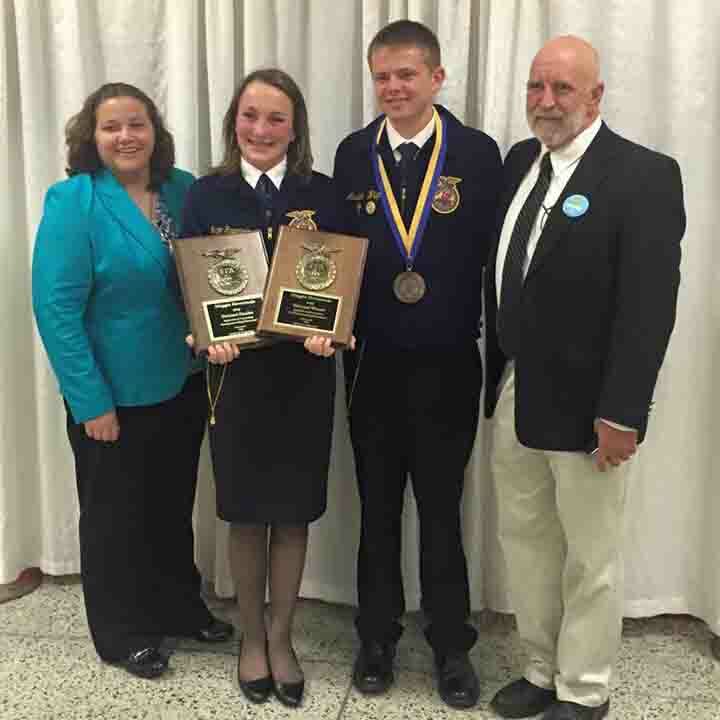 My favorite career highlight would be National FFA Convention in 2015, because I had two students win awards at the national level. It was thrilling to be on stage with them and see how excited they were. It’s pretty humbling to be a part of their successes. My advice to a current student would be to get involved! Join clubs/organizations, make friends, travel, be generous with your time and money, study, and don’t worry so much. College goes by too quickly, try to live in the moment and have fun! Our theme for our centennial celebration is “Cultivating Futures” What was cultivated in you during your time at Ohio State? ACEL cultivated in me a sense of purpose. It gave me the tools and direction I needed to go out into the world and make a difference in the community I serve. Bernard J. 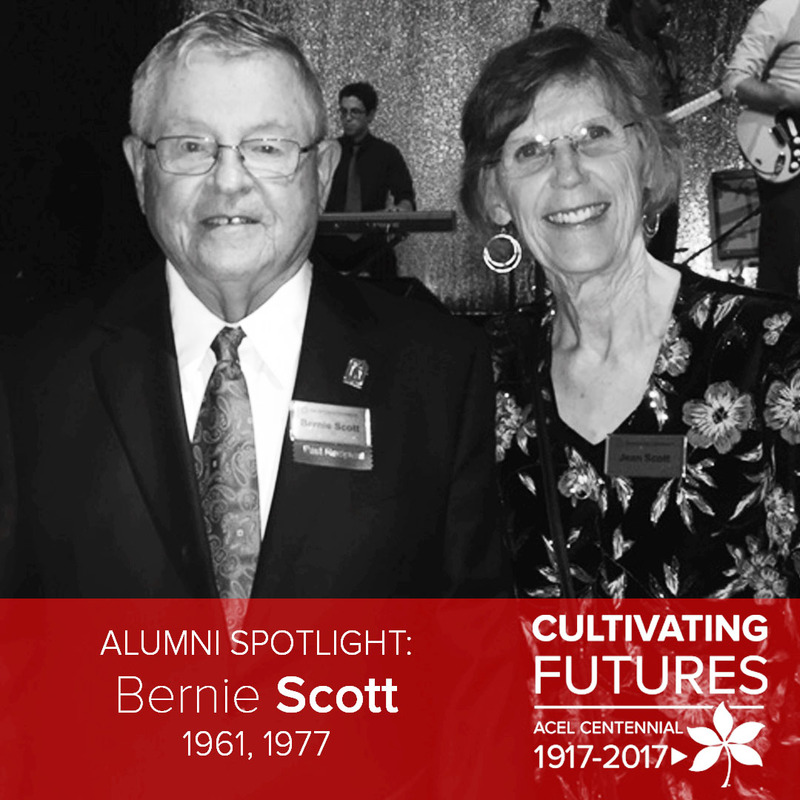 “Bernie” Scott, came to Ohio State from his hometown of Zanesville where he attended Jefferson-Dresden High School (now known as Tri-Valley High School). 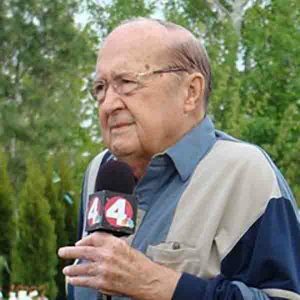 He completed a bachelor’s and master’s degree in agricultural education in 1961 and 1977, respectively. Scott is a retired agricultural educator, but is an active member in the community of Tontogany. He is a supervisor and chair of the Wood Soil and Water Conservation District, a member of the Ohio Envirothon Contest Committee, the Erie Basin Resource Conservation & Development Council and the Wood County United Way Advisory Board, trustee for the Agricultural Incubator Foundation and the Grand Rapids Historical Society, delivers meals for the Wood County Committee on Aging and is the newsletter editor for the Wood County Retired Teachers Association. Hi Bernie! At Ohio State, you majored in agricultural education. Why did you select that major? I was influenced and somewhat invited to major in agricultural education at Ohio State mostly by my first college roommate Mr. Jim Helt and my second year roommate and close high school friend Mr. Robert Thomas. My career in agricultural education teaching was firmly planted during the wonderful second quarter of apprenticeship teaching while partnering with Mr. Dennis Swartz. You chose to be a Buckeye? Why not attend another school? I chose Ohio State in 1956 because it was the only agricultural college in Ohio! My first introduction to the OSU campus occurred in June 1953 when I won the right to represent our Jefferson-Dresden High School FFA chapter’s General Livestock Judging Team in the state contest. I just completed my freshman year and was attending my first combined Ohio FFA Convention/State Judging Contests, little did I realize I was attending the first ever Ohio FFA Banquet for the 25th Silver Anniversary Celebration. Did your education at Ohio State influence your decision for your career? My early choice of taking the Intro to Ag Ed class in spring quarter of 1957 under Dr Willard Wolf in Ives Ag Engineering Hall and at least one field trip seeing Mr. Earl Kantner teaching at Canal Winchester High School, started my focus in agricultural education teaching as a career choice. I watched the present Agricultural Administration Building and St. John Arena being constructed in 1956 on my way to Poultry Science Building! Were you involved in any activities outside of the classroom? My college career activity consisted mainly of classes and part time college jobs to support myself starting as a noontime lunch waiter in a small diner on Chittenden Avenue where I got a free 72-cent noon lunch special and one dollar for 2 hours of work. Later I worked part time parking cars at downtown Lazarus Department Store. I finished my part time college jobs working evenings and Saturdays at the Columbus Dispatch Newspaper in the Advertising Service Department for the morning Citizen Journal and the daily evening and Sunday Dispatch. Several summer jobs included the Stancor Electronics Co. , Clarksburg Cardboard Co., Hazel Atlas Glass Co., and the Armco Steel Company. I did attend several Townsend Ag Ed Society activities and meetings when possible. We never stayed in a university housing, but lived at 66 Chittenden Avenue in a rooming house with other students for $5 per week. Did you have any classes that were your favorites? I was always focused on agricultural education/FFA, which made all agriculture related classes my favorites. One class in particular taken as a reported easy 3 credit hour communication class turned into a special and memorable one because it was held in a small radio and television production lab in lower level of Derby Hall. The class actually made in-house radio/television shows with students taking turns running the set equipment and staring! The instructor labeled me to do mostly farm market reports and country interviews, because I had “ruralism” in my voice. My “ruralism’ served me well in my career! Many current agricultural educators from around the state have looked to you as a mentor and a positive example of an agricultural educator. Did you have a professor or mentor that you looked up to while you were a student and beyond? To pick one professor as being most influential it would go to Dr. Ralph Bender, chair of the department, during whose class I used his textbook, and later on, observing us during student teaching that always ended in encouraging words. Of your time at Ohio State, what is a memory that you hold close to your heart? My most memorable moment at Ohio State might have been attending the 1957and 1958 ROTC Military Ball in the Ohio Union with my high school sweetheart, now my wife of 56 years. ROTC was a mandatory class for all male students in the 1950’s. After you completed your degree in agricultural education, what was your first job? My first teaching job in 1962 was substitute teaching vocational agriculture at Olentangy High School in Delaware County for about two weeks while the regular instructor full-filled some military training. It started on the same day that John Glenn Orbited the Earth in Friendship 7. In May 1962 I interviewed for Otsego High School, was hired, and arrived July 1, 1962 and 38 years later retired from Otsego. Entire career in same school! Throughout those 38 years, and even post-retirement, what awards have you received? Share with us a few things from your career that you are very proud of or consider a highlight. I have a few to share. I served on the design and steering committee of the first specialized Agriculture Education Programs in the first JVS School District in Ohio –Penta JVS /CC. It started with concept discussion to operating in 14 months in 1965. I also designed and constructed and introduced to the world the first public use “Flowing Grain Entrapment Rescue Tube” in 1982 at The BGSU Fire School. I suggested, designed, and constructed the Ohio FFA Association’s 1979 50th Golden Anniversary Time Capsule which I helped open at the 75th Ohio FFA Anniversary Convention in 2003. It was in the shape of the NASA Space Shuttle with top opening doors and was filled and closed 3 years before the real space shuttle flew in space. And lastly, being the spark that envisioned an agriculture field trip/land lab site at the former H. J. Heinz Research Farm in the Otsego School District in 1996 that we help secure and became a co-founder of the now Agricultural [Business/Research] Incubator Foundation. Even though it’s been a few years since you have been a student, what advice do you have for today’s students who aspire to teach agriculture like you? Always be prepared to recognize the best opportunities that will come your way! 95% of your future success and happiness depends on whom you marry! What did ACEL cultivate in you as a student? Plain and simple ACEL cultivated “classroom and community” along with “SUCCESS” ! Interested in technology, teaching youth, and service learning? Get real-world experience learning how to teach Columbus youth with technology including iPads while volunteering in the Columbus Metropolitan Library’s Homework Help Program. Ohio State Fair – 4-H Educational Assistant (July 22- August 6, 2017) Email auck.1@osu.edu for more details. Melinda McKay Witten graduated from The Ohio State University in 2007 with a Bachelor of Science in Agriculture. She majored in agricultural and extension education. She came to Columbus in 2003 from her hometown of Stockport, Ohio, but now resides in Beverly, Ohio with her family. 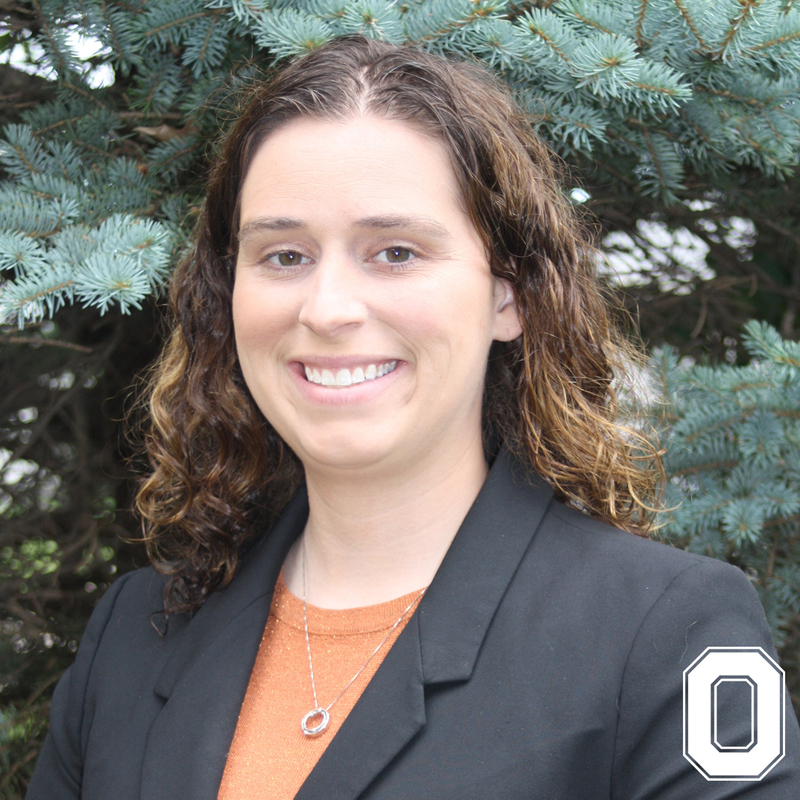 She works for Ohio Farm Bureau where she is the Director of Leadership Programming and coordinates the Young Ag Professionals and AgriPOWER Leadership Institute programs. [ACEL]: Hi Melinda! You majored in agricultural and extension education while at Ohio State. Why did you select that major? Why did you choose to attend The Ohio State University? From the moment I set foot on campus as high school student, I knew that is where I was meant to be. I LOVED the energy, excitement and opportunities that OSU provided for their students. This was especially true on the CFAES campus! And, it was completely different from my small hometown. I could walk to a Wendy’s! While at Ohio State, how did the courses you took influence your career path? ​I loved the agriculture education classes because we were subjected to a variety of topics. The saying “Jack of all trades, master of none” was very true for my studies at OSU. I loved being exposed to all the subject areas. During my student teaching period, I learned that the traditional ag classroom setting was not for me. ​I loved it but my true calling was to work for Farm Bureau and their volunteers! ​While it was the hardest and must frustrating class, I loved agricultural and construction systems management 300-301 with Dr. Lichensteiger. The workload was intense but I still use that information to this day. ​Anyone who had his class knows about his “green sheet of conversion tables”. That conversion sheet still hangs in my kitchen cupboard today! We have heard many students say that class was beneficial. I’m glad it was for you too! Outside of the classroom, were you involved in any student organizations? I was involved in the Agricultural Education Society. ​I decided to focus my efforts to on one organization while balancing my internships with Ohio Farm Bureau. What professor had an impact on your time at Ohio State? I loved working with all the agricultural education staff. Dr. Susie Whittington was very supportive of all of her students and found a way to connect with each one of us. All alumni have a few memories that stand out the most to them. What is yours? “How Firm Thy Friendships” is so very true. Many of my fondest memories involve the friends I made at OSU! 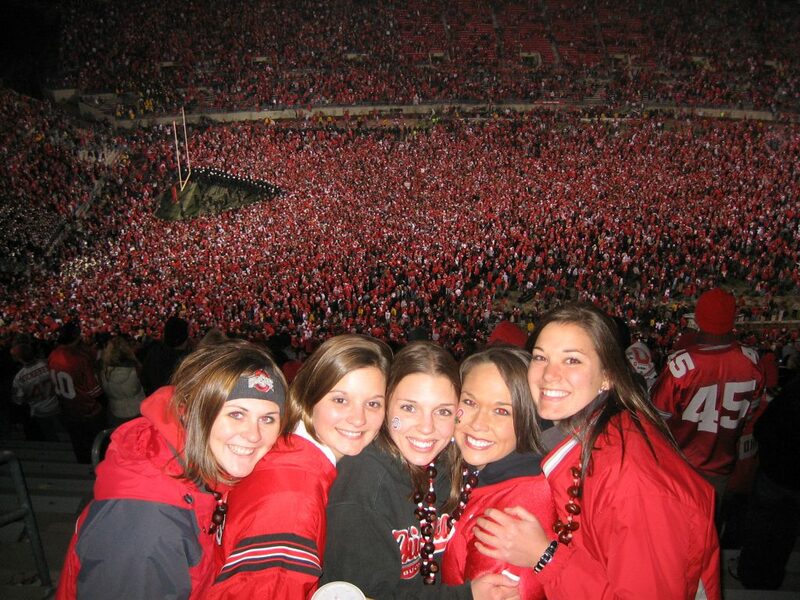 And I also really love the memory of Ohio State beating *ichigan at the last second to go to the National Championship my senior year (2007). Following graduation in 2007, what was your first job? You started with Ohio Farm Bureau in 2007 and still work there. Have you changed roles? I have only worked for Ohio Farm Bureau! I have had many roles there over the years before landing at my current one as the Director of Young Ag Professionals and the AgriPOWER Institute. My favorite highlight is the growth of the Young Ag Professionals program. The program has grown to have over 650 attendees at their Winter Leadership Conference, one of the largest in the nation. And over 49 local YAP programs across the state. I am beyond excited to know that younger folks want to be involved in agriculture! It is a very small world, especially in agriculture. Always be kind and professional because that reputation will get you further than an A in your hardest classes! Great advice for our current students. Last question. What did ACEL cultivate in you? Witten with college friends at the 2006 Ohio State vs. Michigan football game. #1 (Ohio State) vs. #2 (Michigan). Winner went to the National Championship Game, which was Ohio State! Dr. Amanda Bowling will join the Agricultural Communication, Education, and Leadership faculty as a visiting assistant professor for the 2017-2018 and 2018-2019 academic years. Bowling will fill many of the teaching responsibilities in the data analysis and statistics area that opened following the retirement of Dr. Jamie Cano. She will also engage with the agriscience education program by supervising student teachers. A recent PhD graduate in agricultural education from the University of Missouri, Bowling spent six years as a high school agriculture teacher and FFA advisor in Missouri and most recently worked as a graduate assistant during her graduate studies. Her dissertation focused on psychological needs and motivation of youth in school-based agricultural education, with much of that work focused on the contests of Career Development Events. Dr. Bowling’s appointment will begin on August 15, 2017.